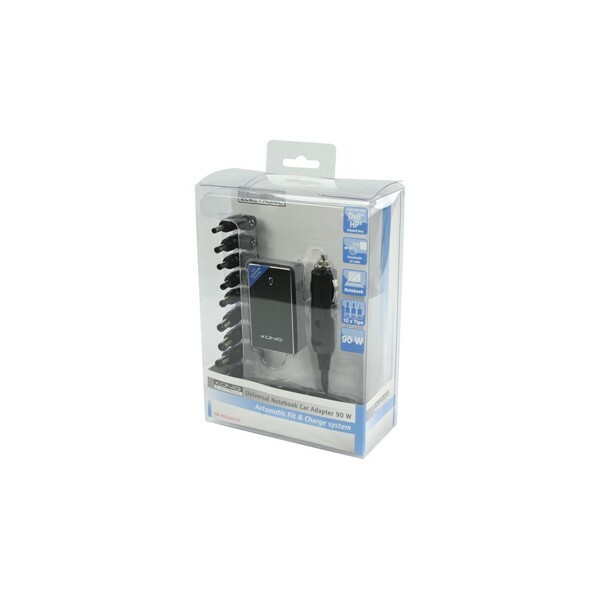 Universal ultra- & notebook car adapter 90W. 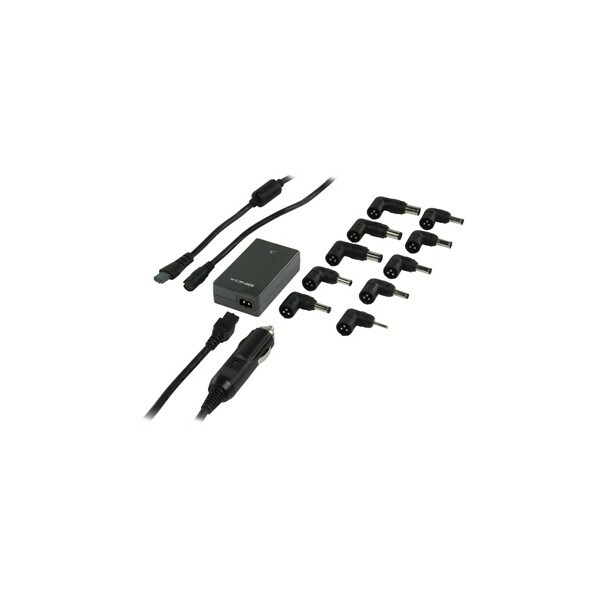 Universal ultrabook and notebook adapter with automatic voltage selection. 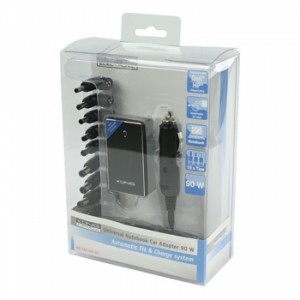 The adapter is equipped with special tips for the latest ultrabooks and notebooks. Thanks to its very small dimensions and detachable cables, this adapter is the ultimate solution for when you travel.The detachable cables are available separately, so you never have to throw away the entire adapter when a cable break occurs. The rubber bottom provides good grip and prevents scratches on surfaces. This also prevents the adapter from falling, causing most cable breaks. The adapter also has a USB output (2.1 A) that is suitable for charging iPads and other tablets quickly. The design has a brushed metal finish and fits well with all notebooks.